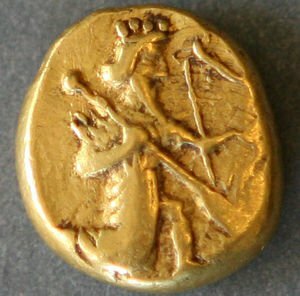 Achaemenid coin (Daric) 420 BC. We often take our economic and larger social system in the West as something given or that can be accepted without much questioning with regards to its origin or how it came about. One area that is so vital for the modern world is banking, including investment, we often associated with buying and selling of stocks and securities, and loans. However, this system developed over thousands of years and the first traces of investing in trade, what effectively were family-run business, and forms of investment banking appear in the ancient Near East. Investments and trade have an early historical root in the ancient Near East. Perhaps one of the earliest examples of long-distance trade and banking occurred in Anatolia, modern day Turkey, sometime slightly before 2000 BC and lasted for nearly 200 years. This is seen in the ancient city of Kaneš, or modern Kültepe, an archaeological site in central Turkey. This ancient city was known to have been a major trading hub for the region that had a group of Assyrian settlers from the ancient city of Aššur who had settled in the area (Figure 1). These Assyrians created one of the earliest well-documented forms of private trade we know of. These early traders created an amicable relationship with the local population, whereby textiles brought from Assyria, located in modern northern Iraq, were traded for silver, copper, and tin. Figure 1. Plan of Kaneš, a site of a major Assyrian trade colony (indicated as K on the plan). The trade colonies at Kaneš and other nearby towns were often not only conducted by private individuals and households, but they also were opportunities for people to invest in. For instance, texts show that trade caravans were invested by individuals before they set out on journeys. Families would often unite or form trading partnerships so that risk was shared and any loss of cargo would not drastically affect any one trader. While rich profits are shown in these trade transactions, they also came at a high cost, as there was a threat that caravans would be attacked and prices were often relatively high. This likely reflects that the trade for metals in particular may have revolved around elites and not the normal segments of the population. Trade also involved direct transactions of commodities, such as silver and textiles, to be traded for the other. In essence, more abstract forms of business, such as the concept of money, were not yet developed, although metals were already beginning to be considered as a commodity that can be exchanged for a wide variety of goods. In particular, as metals do not decay and have high value, they formed a convenient material for trade to different goods. Such trade, however, characterized the Bronze Age (3000-1200 BC), which was a period of many small states or empires that were ephemeral or short-lived, with numerous conflicts between states. In essence, there was relatively high political instability in the Near East, which caused the trade to be somewhat confined in geographic scope and relatively expensive. This changed during the rise of major empires starting in the 8th century BC. With the rise of the Assyrian Empire (911-609 BC), the so-called Neo-Assyrians, and the subsequent rise of the Neo-Babylonian (626-539 BC) and Persian (or Achaemenid (c. 550-330 BC) empires, we begin to see patterns were there were much larger states encompassing much of the region. These larger states also replaced other large states, enabling much greater stability in the region and more unity between cultural groups. Additionally, populations began to move in much greater numbers, intermixing the ethnic makeup of many towns. These intermixed communities soon formed links that facilitated exchange between them and their areas of origin. Figure 2. Provinces of the Achemenid Empire. Given that we begin to see greater movement of trade, it is at this time we begin to see the rise of the great banking houses and investment firms. The best-known early banking family was the Murashu family, although others existed such as the Egibi family, which thrived in the 5th century BC. The Murashu family perhaps established one of the world’s oldest named firms, in essence “Murashu and Sons.” They had over 60 employees stationed in various cities across southern Mesopotamia and Elam in modern Southern Iraq and Southwest Iran respectively. The employees functioned similarly to local branch offices of the main Murashu firm. The company dealt with financing real estate, loans, and investing in agricultural projects. In addition, both poor citizens and the royal family appeared to do business with this family. 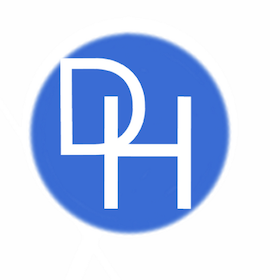 Overall, more than 2000 individuals are known to have done business with this firm  While this is not considered investment banking in its true sense, the investing the firm did demonstrate that financial returns outside of typical banking were now forming that took advantage of new financial opportunities. These opportunities came in the form of long-distance trade that began to connect much of the Old World. 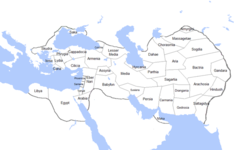 Trade now began to connect Europe, the Near East, and India more directly, allowing more wealth to be generated and investments to flourish at around the time of the Achaemenid Empire and later. This is made possible by the fact the Near East, in its totality, was unified into one single entity that spanned from Egypt to Anatolia and to the east in Turkmenistan and from the Caucuses to Saudi Arabia in the south (Figure 2). In essence, the rise of the super-state created new possibilities of cheaper trade, as routes became more secure and less complicated due to fewer entities controlling the vital trade routes. For the next 2500 years after the initial rise of the Achaemenids, the Near East witnessed a succession of large states and empires, although most were not nearly as large as the Achaemendis. When Alexander the Great conquers the Persian Achaemenids in 333 BC, what is telling is how only a few states were created to cover all the land between Greece and India, Egypt, Arabia, the Caucusus, Iran, and Central Asia. In essence, much of this part of the world was now relatively united and trading actively. Figure 3. 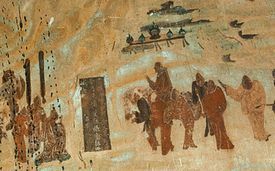 Painting showing the Chinese envoy Zhang Qian heading to Central Asia, where he eventually had contacts with the Parthians. By the time of the Parthian (247 BC – 224 CE) king, Mithradates II, we now know of a Near Eastern king to have established political and diplomatic relations with a Chinese emperor, to whom the Parthian king sent an ambassador.. This act paved the way for the establishment of long-distance trade contacts with China and laid the basis for the Silk Road along which silk was traded from China up to the Mediterranean, crossing Parthian lands (Figure 4). In addition to the overland trade routes, a maritime route was also opened through the Indian Ocean, perhaps facilitated by extension of Parthian control over the western shores of the Persian Gulf, though this extension is suggested by mostly archaeological remains. In the 1st century AD, one would only have to travel through four countries to go from Britain to China. In short, the ancient world had become an early version of globalization. People from different cultures began to benefit from this trade and participate more actively. Products were moving far and wide. Incense and silk were moving all across the Old World, while coins were now found in all of Europe, Asia, and northern Africa. Coinage, in the 6th century BC, had been a localized development found in the Eastern Mediterranean only, but by the 3rd century BC it was spread to much of Europe, the Near East, India, and China. It was also at around the 6th century BC that coinage began to be used more substantially. As larger government authorities ruled much of the Old World, we now see the popularity of coins increase. The origin of coinage is somewhat in dispute but it could have begun in the Aegean or Western Anatolia, perhaps in the kingdom of Lydia. What is critical, however, is not so much the invention of coinage but how it was used by the later empires. By the 5th century BC, coins in the Persian Achaemenid Empire began to be used in a standard form, called the daric, as decreed by Darius I. We now begin to see a standard way in which money began to flow across vast distances using a standard unit of currency. As trade began to be more interconnect and long-distance, coins begin to be a new medium in which the financing of that trade was possible. This included investments made to traders who were benefiting from the new international trade links. Trade now also was accessible to different cultures and levels of society. As it became easier to move goods across vast distances, more people became involved in international trade. With greater international trade, luxury items became more accessible. It also meant that multiple ethnic and cultural groups were involved in this trade, helping to spread different messages, such as religions, and knowledge that shaped the ancient and subsequent modern world. While we see in the early Bronze Age (3000-1200 BC) hints of what we would eventually call investment banking whereby individuals would invest and finance trade partnerships and attempt to reap handsome rewards, this form of investment only begins to develop more substantially with the rise of empires. The Achaemenids were the first great empire to utilize coinage, although the invention of coins may have occurred in the Aegean world. The key development, however, is that empires allowed the free flow of investments to occur, as we see with the Murashu family initially, one of history’s first true investment firms. They were able to establish branches of trade and finance banks in southern Mesopotamia and Elam thanks to the peace afforded by the Achaemenid Empire. Such patterns became well established during a long period of empires and continued to influence the region and Europe for centuries, creating the foundations of what today has become modern investment banking. By the 1st century AD, one could travel from one end of the Old World in Britain and reach China's far east Pacific cities crossing only four countries. This had a major influence in globalizing trade, increasing the financing needed to facilitate this trade, and greater participation of common and increasingly multi-ethnic individuals. ↑ For a recent history of investment banking, see: Bonin, Hubert, and Carlo Brambilla, eds. 2014. Investment Banking History: National and Comparative Issues (19th-21st Centuries). Euroclio. Studies and Documents, no. 78. Bruxelles: P.I.E. Peter Lang. ↑ For a recent historical analysis of the Kaneš trade colony and region, see: Barjamovic, Gojko. 2011. A Historical Geography of Anatolia in the Old Assyrian Colony Period. CNI Publications 38. Copenhagen: Carsten Niebuhr Institute of Near Eastern Studies, University of Copenhagen : Museum Tusculanum Press. ↑ For information about items traded and colonies established by Assyrians see: Larsen, Mogens Trolle. 1976. The Old Assyrian City-State and Its Colonies. Mesopotamia, v. 4. Copenhagen: Akademisk Forlag : [eksp., DBK]. ↑ For a discussion on commodity prices and threat of attacks see: Larsen, Mogens Trolle. 2015. 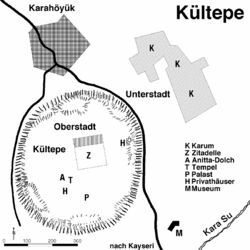 Ancient Kanesh: A Merchant Colony in Bronze Age Anatolia. New York: Cambridge University. Press. ↑ For a discussion on the conflicts and kingdoms of the Bronze Age Near East see: Van de Mieroop, Marc. 2016. A History of the Ancient Near East Ca. 3000-323 BC. Third edition. Chichester, West Sussex, UK: John Wiley & Sons Inc.
↑ For a general discussion on some of these large and successive empires see: Cline, Eric H., and Mark W. Graham. 2011.Ancient Empires: From Mesopotamia to the Rise of Islam. Cambridge ; New York: Cambridge University Press. ↑ For a discussion on the Murashu firm see: Stolper, Matthew W. 1985. Entrepreneurs and Empire: The Muras̆û Archive, the Muras̆û Firm, and Persian Rule in Babylonia. Uitgaven van Het Nederlands Historisch-Archaeologisch Instituut Te Istanbul = Publications de l’Institut Historique et Archéologique Néerlandais de Stamboul 54. Istanbul: Nederlands Historisch-Archaeologisch Instituut te Istanbul. ↑ For a discussion on the Seleucids and their contermporaries, which succeeded Alexander the Great, see: Makowiec, Jadwiga, ed. 2011. New studies on the Seleucids. Wyd. 1. Electrum 18. Kraków: Wydawn. Uniw. Jagiellońskiego. ↑ For a discussions on the Parthians, see: Wolski, Joséf. 1993. L’empire des Arsacides. Louvain: Peeters. ↑ For further details on trade activities in this period see: Grajetzki, Wolfram 2011. Greek and Parthians in Mesopotamia and Beyond. Bristol: Bristol Classical. ↑ For a discussion on Darius and his important reforms, including in currency, see: Poolos, Jamie. 2008. Darius the Great. Ancient World Leaders. New York: Chelsea House Publishers. ↑ For more information on the use of coins and monetization in the ancient world, see: Schaps, David M. 2015. The Invention of Coinage and the Monetization of Ancient Greece. ↑ For information on the trade in silk and the Silk Road establishment, see: The Roman Empire and the Silk Routes The Ancient World Economy and the Empires of Parthia, Central Asia and Han China. 2015. Pen & Sword. ↑ For more information on financial investments in the role of trade, see: McLaughlin, Raoul. 2010. Rome and the Distant East: Trade Routes to the Ancient Lands of Arabia, India and China. London ; New York: Continuum. ↑ For more information on luxury goods and how they became widespread and accessible as international trade became more prominent, see: Young, Gary. 2011. Romes Eastern Trade. [Place of publication not identified]: Routledge.